FNTSY Sports Network recently launched with a brand identity and logo created by (n+1) designstudio. FNTSY Sports Network is the first network specifically targeted to the estimated 40 million people who play fantasy sports annually. The network’s programming includes live studio shows, panels, celebrity and expert drafts, call-in shows, reality programming and on-site commentary from sports venues. 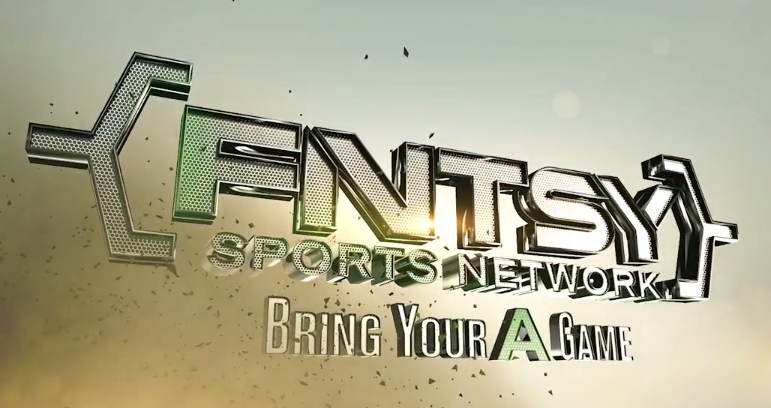 FNTSY Sports Network from (n+1) designstudio on Vimeo. The creative team at (n+1) designstudio developed a bracket concept to represent that statistical side of fantasy sports that fully immerses the audience in the analytical, informational and breaking news aspects, delivered in a seamless flow of information that is easy to consume and understand. A division of SMT, (n+1) designstudio crafted the production’s broadcast-quality design to synchronize with SMT’s graphics publishing system, the Data Matrix Switchboard. The DMX pushes data such as player statistics, injuries, scores and leaderboards to the network’s news tickers and offers direct control of content through an application that allows content to be manually inserted by the network’s operators.